Transcript of a discussion on making and managing the business connections that matter most with SAP Ariba Spot Buy. Our next technology innovation thought leadership discussion examines new ways for small businesses to make and manage the connections that matter to them most using cloud-based networks to bring intelligent buying and digital business benefits to any type of company. 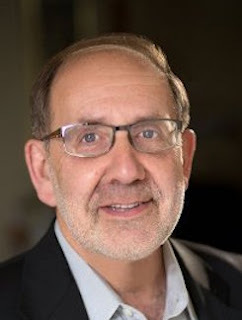 To learn more about the business of doing more commerce in the digital economy using cloud-based networks, please join me in welcoming our guests, Bob Rosenthal, Chairman and CEO of JP Promotional Products, Inc. in Ossining, New York. Welcome to BriefingsDirect, Bob. Bob Rosenthal: Hi, Dana. Thank you. Gardner: We’re also here with Anne Kramer, CEO at Ergo Works, Inc. in Palo Alto, California. Welcome, Anne. Anne Kramer: Thank you very much. Gardner: First let’s hear a little bit about your companies. Bob, what is JP Promotional Products? What do you do? Rosenthal: JP Promotional Products is a distributor of imprinted promotional products. Anything you can put an imprint or logo on. We've had this company with my daughter for about 12 years now and we sell to small companies, large companies, anyone who buys promotional products from us. Gardner: Why is being digital, being on business networks, an important part of the way you find new clients? Rosenthal: What this has given us is the ability to find the size of client that we could not ordinarily find. We're getting into large corporations, and it is very difficult for a small company to get access to a large entity. Being on a network like SAP Ariba and leveraging services like Ariba Discovery has gotten us into some of these very large corporations. Gardner: Anne, tell us about Egro Works. Kramer: Ergo Works is a small, woman-owned company based in Palo Alto, California. We're a full-service ergonomics company. We offer workstation evaluations and consulting, a complete line of ergonomic furniture, accessories and computer peripherals, as well as installation services. So, I would call it solution selling. Gardner: And do you also share Bob’s challenge of trying to be seen and heard in a busy world, by big companies that perhaps don’t know about small vendors? Kramer: Absolutely. It’s a challenge to get an audience with this group. They generally have established vendors, and trying to knock down those doors is challenging at best. Gardner: We know that many of the buyers of goods are looking for increased automation. They're looking for intelligence in that network and the partnerships and ecosystem that they play in. So they want to find people like you that have goods and services for them. What was it that you had to do in order to then be seen and heard, be and recognized among them? Rosenthal: We joined Ariba Discovery, and that gave us the ability to search for leads as well as respond to matched leads. As a matter of fact, one of the first ones I got was about a half an hour after I paid for Ariba Discovery. It was a Fortune 100 Company. They were looking for a thousand pair of imprinted socks, something I knew we could do. It was a no-brainer. We established our relationship with the procurement manager. They never bought the socks, but we have a relationship now, and without Ariba Discovery, there was no way we could have done that. Gardner: And is geography a barrier for you or you can do business with anyone, anywhere? Rosenthal: We can do business with anyone, anywhere. The bulk of it is in the Continental US. We can ship to England or Canada and we do bring some product in from China as well. Gardner: And for you, Anne, tell us about what you needed to in order to find clients. Kramer: We're located in Palo Alto, which is ground zero in Silicon Valley for ergonomics. So, we are well poised in that regard. Nonetheless, the challenge of growing a small business is ever present. One way that we've overcome that is to participate in online marketplaces. Specifically, what we're excited about now, and why I'm here today, is the Ariba Spot Buy Program. This is going to give us a direct access to large companies that have been challenging for us to get into. It’s an exciting opportunity. Unlike other marketplaces that are geared to one-off end users, Ariba is geared toward large corporations; so we're very excited. Gardner: Can you give us a bit more about background and understanding of Ariba Spot Buy? These are not the usual contracts that are ongoing and repeatable, but are instances where there is a need, an ad-hoc need perhaps, in a large organization. A purchasing department has been tasked with doing this or maybe people directly in the company have got the authority to find and buy things on their own. Kramer: That’s very well put. For example, we are currently an Ariba supplier with several clients and we offer a static catalog. We often provide or make recommendations for products that are off catalog, and Ariba Spot Buy allows companies to buy products from vendors that they don’t currently have a contractual relationship with. The niche that we're in is a relatively small niche. So it may not warrant a company wanting to put together a catalog. This is an opportunity for them to buy these products, yet stay compliant within the Ariba ecosystem. So that’s what Ariba Spot Buy does. It allows companies to buy products that they don’t currently have a contractual relationship with. Gardner: Now, of course, a big approach to finding things nowadays is through search on the web and having a good website, and getting good rankings on the search engines is a big part of that. But it strikes me that you're small, you're not going to get the kind of traffic on your website that might elevate you in those search results, and you are also highly customizable. So you're not just putting a big billboard up on the Internet, so to speak, and say, here we are. You're offering custom types of things, with promotional products in your case, Bob, and you probably want to hear a lot about each customer and tailor your services to them. How do you overcome the challenge of not being able to put a billboard up on the Internet, but also maintain the advantage of having highly customized products, Bob? Rosenthal: Our own website has hundreds of thousands of items on it. It’s an industry-based website. If you're searching for almost any product, you'll find it on our site. In terms of how we got people to our site, we did invest some money a few years ago. We decided to go with what’s called Local Search. We put money into being on the first page in New York State, the Tri-State area, and that’s gotten us a few large accounts. What we're looking for in Ariba Spot Buy is to bring in more business because a lot of our products are last minute. Someone will remember at the last minute, "Oh, I'm doing a trade show next week; I need a thousand widgets to give away. I forgot to buy them. I don't want to go through a contract." That's where I think Ariba Spot Buy will help us because we can deliver products in 24 hours if we have to. Gardner: So there is an advantage to being in a business network versus just the worldwide wild web? Rosenthal: Right. What that gets us is more targeted corporations, hopefully larger entities. Where a small corporation might buy 100 pieces, the big corporation is going to buy thousands of pieces. That’s why we've joined Ariba Discovery and are looking at Ariba Spot Buy. Gardner: And I suppose, as someone in a selling position, you're also getting a lot more information about who you're selling to, given that they're in the network and you can see and access more about what they're looking for? Rosenthal: That’s true, and where that helps is that we tend to add a lot of creativity to it. If we know who you are and what you do, we can make recommendations for certain kind of products. If you're a tractor company exhibiting at a show, maybe we'll suggest a squeeze toy in the shape of a tractor. Knowing who you are and where you are helps us with our creativity in suggesting products. The ability to be on Ariba Spot Buy will give us the ability to interact with our customer to then have the opportunity to sell these more custom products and get into project-based opportunities. Gardner: And for you, Anne, in the same vein, trying to be seen, heard, and understood in the Worldwide Web is perhaps a bit more daunting than on a business network. How do you overcome that need to customize and tailor your goods and services? Kramer: Certain products lend themselves more to selling on the web than others, and same with online marketplaces. The visibility with Ariba Spot Buy will give us the opportunity to interact with our customers to offer them custom products and get into project-based opportunities. Gardner: We're also seeing from SAP Ariba the desire to bring more collaboration embedded and automated into these applications and services. Also, with Guided Buying, they're allowing the sellers to be part of an intelligence network, so that buyers can be led through the process and automation can be brought to bear. How do these new technological advantages affect you as a small businesses particularly, Anne? Kramer: Technology helps us with new ways to bring our products to market and expose our offerings to a larger audience. That’s really the biggest benefit. In addition, it helps us to expand our current relationships with our Ariba buyers. They can now buy off-catalog, which is a win-win. Technology also impacts the products that we sell. As technology changes, the products change in response to the latest mouse design or the material that a wrist rest is covered in, maybe it's anti-microbial for instance. So technology has a huge impact on direct and indirect part of our business. Gardner: Of course, it's important for small businesses to have visibility into cash flow, when to expect payments, and how to bill accurately and appropriately. Any thoughts, Bob, on how this business network for you also adds to your own ability to run your business properly? Rosenthal: In terms of technology, the biggest issue with us is the logo. Anyone can say they want a Bic pen. Where the technology should help us is in getting the art files from one point to the other and knowing, as far as things like cash flow, who we're dealing with, that it's a large corporation. Some use POs, some don't, for these type of buys. It gives me more comfort that we are going to get paid. It's difficult to ask General Motors for a deposit for a $1,000 order, but we might ask the insurance broker down the street for that. So that comfort level of knowing we should be paid on a certain date is a big advantage. Gardner: Anne, the same thing. Business visibility is important. Is there something about a business-network approach that's beneficial to you in being able to run your business well? Kramer: Well, specifically what I am excited about with Ariba Spot Buy is that all the purchases are made using a credit card, which we love because it helps us control our cash flow. We don't have to go chasing after past-due invoices, and that time can be better spent selling more products. We love the fact that it's all credit-card based. What I am excited about with Ariba Spot Buy is that all the purchases are made using a credit card, which we love because it helps us control our cash flow. Gardner: Are there any specific examples of actual customers that you found through the Ariba Discovery process in this online marketplace that would illustrate some of these points? You don't have to name them necessarily, but maybe walk us through how it's worked and how that's different from the other approaches that you've had to find in customers, Bob? Rosenthal: Well, the big account that we got, which I can't name, has turned into a huge account for us. We've established a relationship with the procurement people, and I think that relationship has built this business with them over the last 18 months, because they have a confidence level in us, and we are confident in them that, a) we're going to get paid, and paid on time, and b) it's a continuing relationship. We do a lot of one-offs. We get a hit on our website, I need something tomorrow, can you get it? We never hear from the people again but we get an order, which is great; we do a lot of that. But we also try and establish relationships and that's what we get out of Discovery so far. Gardner: As a small-business person myself, I know that you don't want to push that rock up the hill every month. You want to have the recurring dependable revenue; it's super important, right? Kramer: Right. Ariba Spot Buy is an opportunity for ongoing and repeat business from companies participating in this technology. Gardner: But this allows you to get the best of both worlds, which you can discover and find new interesting clients, but you can also maintain a steady flow from, from your installed base. Kramer: That's right. This technology offer us an opportunity to engage new corporate customers and get paid quickly with credit card payments. Gardner: Well, great. I'm afraid we will have to leave it there. You’ve been listening to a BriefingsDirect thought leadership podcast discussion examining new ways for small businesses to better match their services with sellers, particularly a small organization selling to a large organization, and using SAP Ariba business networks to accomplish that. Please join me in thanking our guests, Bob Rosenthal, Chairman and CEO of JP Promotional Products in Ossining, New York. Thank you, Bob, and if people want to learn more about your organization, how might they do that? Rosenthal: Our website is www.jppromoproducts.com or feel free to call us at 1-800-920-3451. Gardner: We have also been joined by Anne Kramer, CEO at Ergo Works in Palo Alto, California. Thank you, Anne. And how could organizations learn more about your company? Kramer: They could go to our website at www.askergoworks.com or our toll free number 866-ASK-ERGO. Gardner: And also a big thank you to our audience for joining us for this SAP Ariba-sponsored business innovation thought leadership discussion. Transcript of a discussion on new ways for small businesses to better match their services with sellers using SAP Ariba business networks. Copyright Interarbor Solutions, LLC, 2005-2016. All rights reserved.